Thinking about investing in a new set of patio furniture? Or looking for a beautiful new piece to compliment your lawn or your outdoor sitting area? Consider buying Amish! 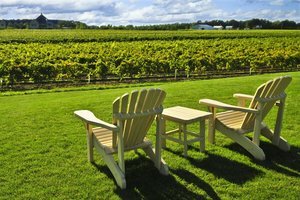 There are many reasons why buying Amish-made outdoor furniture is the best option, some of which are further explored in this article. Amish furniture is always handmade. Every piece of each item is carefully cut, shaped, and fit to make a perfect piece of furniture. We’ve had years of experience learning our craft, and each piece of furniture is a work of art in itself, created by people who put extensive time and effort into their work. Attention to detail plays another big role in the creation of our furniture. We want our customers to love their new piece of furniture as much as we do, so every aspect of its creation is scrutinized. No corners are cut; every piece we produce is a source of pride to our company, and the attention paid to each piece means a high-quality product every time. A newly completed piece will last for years, even after exposure to harsh elements, such as humidity, snow storms, and harsh sunlight. We set strict standards for each piece of furniture, standards that are traditional in the Amish community, ensuring the quality of each piece of furniture. Our furniture looks great as well; not only do the quality standards each piece is put through ensure the furniture will last for years, but the durability and longevity of its original appearance will continue to stun with its beauty far into the future. All of our furniture is also American-made, another important detail. We are proud of each and every piece of furniture that we produce, and that is reflected in our work. We create each piece here in the United States, with only the highest quality building materials, resulting in spectacular, unique, and beautiful pieces of furniture that have been carefully crafted with love and pride. 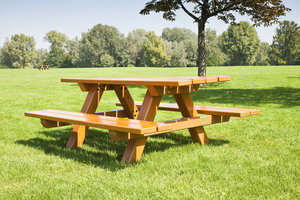 When considering the new or first-time purchase of outdoor furniture, consider buying Amish. The quality of each piece is guaranteed through the strict standards we utilize during the creation process. No detail is overlooked, and each piece is handmade here in the United States. Our furniture is also extremely durable, and is made not only to last for years, but made to look beautiful for years as well, even after exposure to outdoor elements. High-quality outdoor furniture is an investment, and with all the reasons listed here, buying Amish-made furniture is definitely the best route.